All three generations are still alive and important. The third generation is currently the youngest generation. The idea of the industry platform enabled methods is to provide an open hardware/software platform which opens the innovation ecosystem to third parties including startups and SMEs. The main interaction takes place by machine-to-machine communication. We could also call this the “app store enabled methods”. In the consumer market we all know the open platforms like the app stores from Google and Apple. In the industry market it is our job to provide open platforms for the industrial automation. What have all this three generations of Open Innovation methods in common? either by people, by social media, or by open industrial platforms. 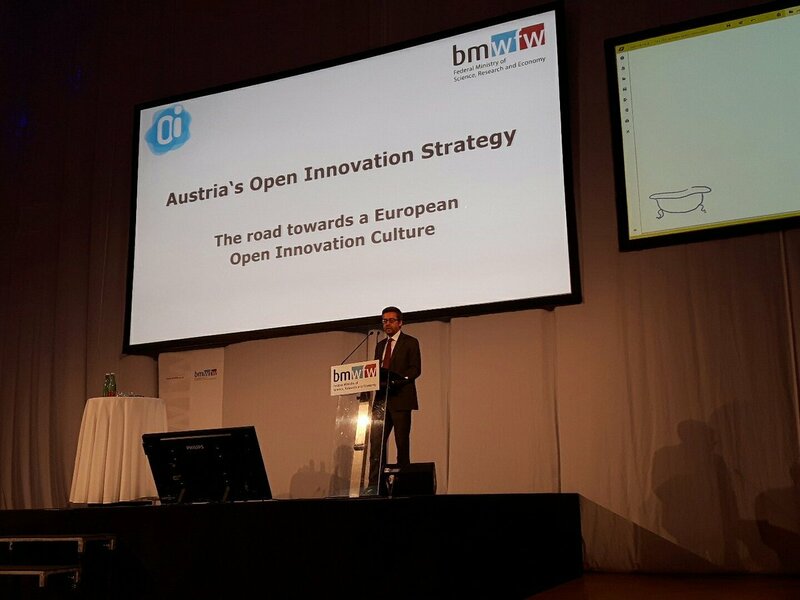 This text is based on my statement about “Open Innovation in the Industry” for the visit of Carlos Moedas, EU Commissioner for Research, Science and Innovation at “Austria’s Open Innovation Strategy. The road towards a European Open Innovation Cultur”. This entry was posted in Uncategorized and tagged app stores, ecosystems, Hackathons, open industry platforms, open innovation, social media, startups. Bookmark the permalink.